Anderson Valley stretches between Highway 101 and Highway 1 in Mendocino County, connecting the inland area with the Mendocino coast. It's a two hour drive from the north end of the Golden Gate bridge to Boonville, the heart of the valley. 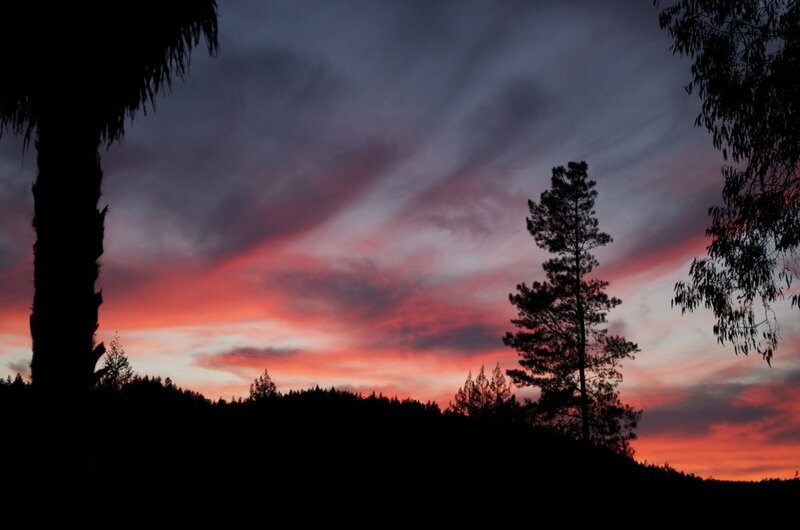 Anderson Valley has a Mediterranean climate, with dry, hot summers and wet, cool winters. There are numerous micro-climates, so be sure to pack lots of layers as the temperatures can vary widely in a single day and from location to location. The area is known for its wine-tasting and excellent restaurants. You can hike in Hendy Woods and swim in the Navarro River. The calendar is dotted with fairs and festivals, like the Mendocino County Fair, the Pinot Fest, Sierra Nevada World Music Festival, the Wildflower Show, the Boonville Beer Fest, and the Wool & Fiber Festival. Or just sit back and enjoy the quiet. Remember quiet? We have a lot of that here. Find out more about Anderson Valley at VisitAndersonValley.com.